New from Battlefield Legends! Compete Confederate Aritllery set cast in classic light gray with 24 Pounder cannon. 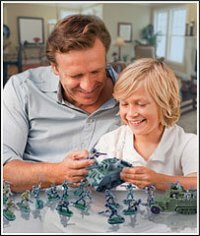 Includes ten (10) beautifully sculpted and highly detailed 54mm plastic figures with two (2) horses and cannon. 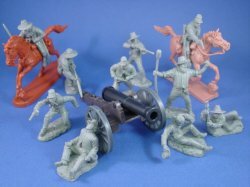 This set makes a wonderful addition to any toy soldiers collection or American Civil War diorama.